India is the largest coir producer in the world accounting for more than 80 percent of the total world production of coir fibre. The coir sector in India is very different and involves households, co-operatives, NGOs, manufacturers and exporters. Coconuts are grown in more than 93 countries in the world and therefore there is considerable scope to develop coir industry in further countries. Kanyakumari also called as Kanniyakumari district is bounded by Tirunelveli district in the north and northeast, by Kerala state in the northwest and union of Arabian Sea and Indian Ocean in the west and south. The Coastline is almost regular except for some points of land projecting into the sea at cape Comorian. Kanyakumari has been named after the goddess Kanyakumari Amman who is the popular deity of the area. Legend has it that the goddess Parvati in one of her avatars as Devi Kanniya did self-punishment on one the rocks of this land’s end to obtain the hand of lord Shiva. 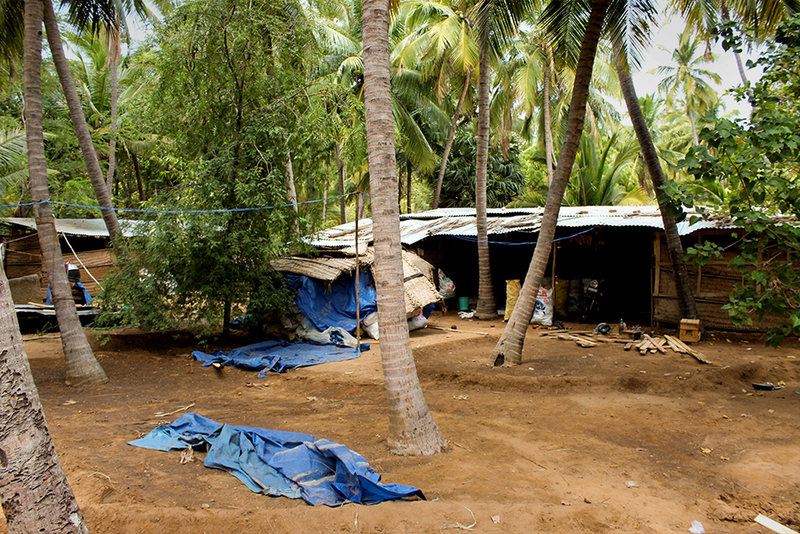 In Kanyakumari some people are involved in coconut fibernest making craft. Craft is an evolved expression of human spirit. 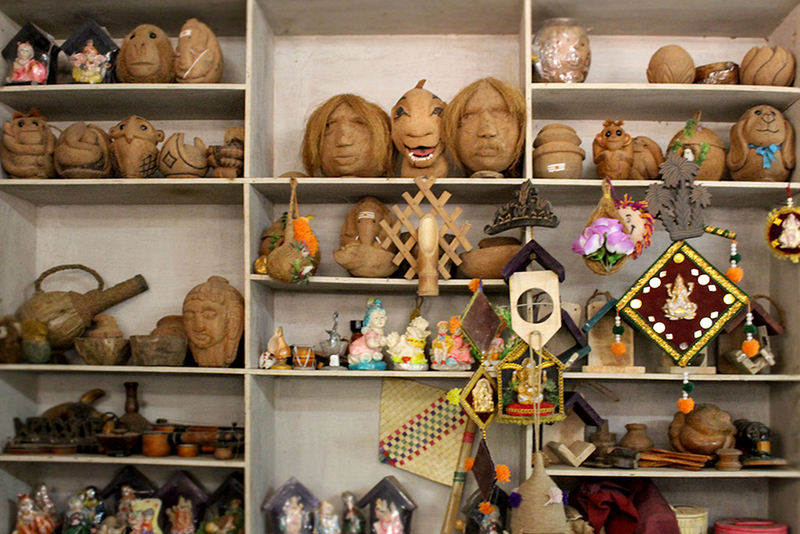 Craft was the first evolved expression of man which gave birth to arts and other life supporting process. Craft is considered to be more organized and filling in human relationships than even language, for it enters the blocks of communication. 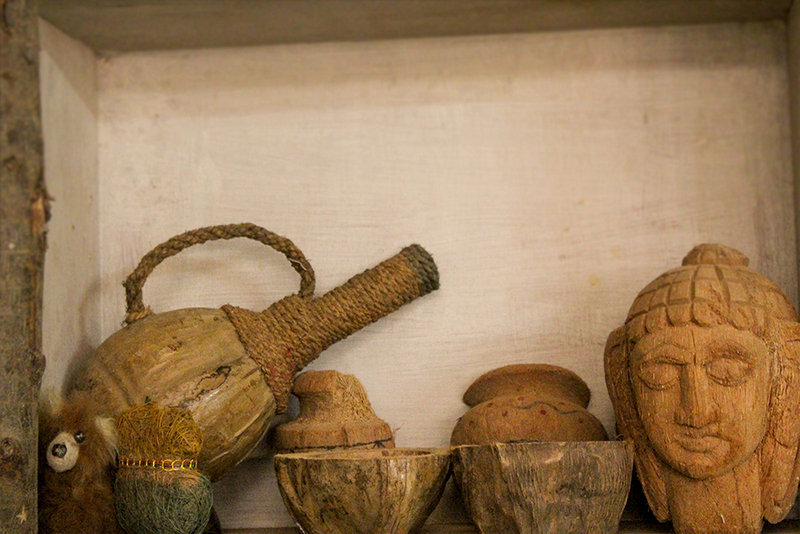 The coconut fibernest making is also a wonderful craft. In the changing world scenario, craft products form a part of lifestyle products in international market. The impression is due to the changing consumer taste and trends. In view of this, it is high time that the Indian Handicraft industry went into the details of changing designs, patterns, product development and required change in production facilities for a variety of materials, production techniques and related expertise to achieve a leadership position in the fast growing competitiveness with other countries. 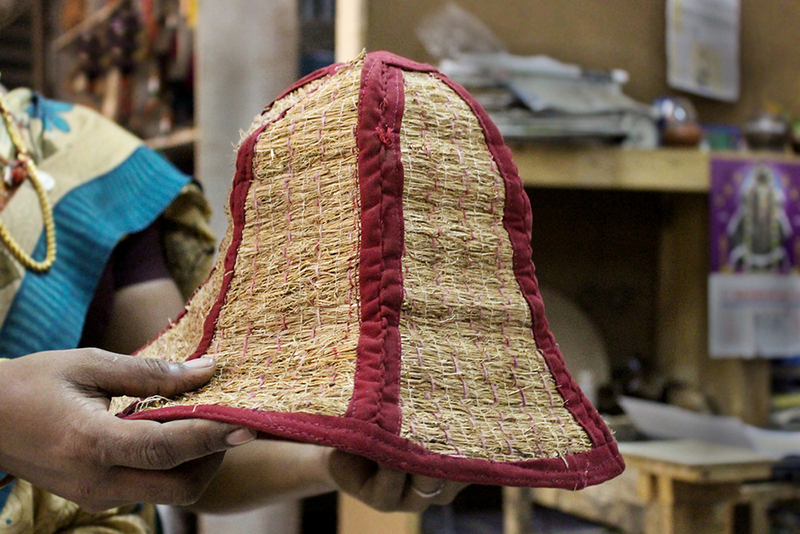 Coir handicrafts attracts consumer attention in view of its resourceful nature eco-friendly property. Coconut fiberis also known as coir, comes from the inner husk of coconuts. Coconuts are the most commonly grown in the world and contribute significantly to the economy of humid areas. The short, rough fibres can be woven for a number of uses. Unlike man-made fibres, coconut is a renewable resource. Coir is a natural, eco-friendly and extremely tensile fiber. This natural wonder is available in abundance and finds various applications. The coconut palm has been praised as ‘Kalpvriksha’ the all giving tree in the classic of India. The use of coconut throughout India makes it a symbol of national unity. 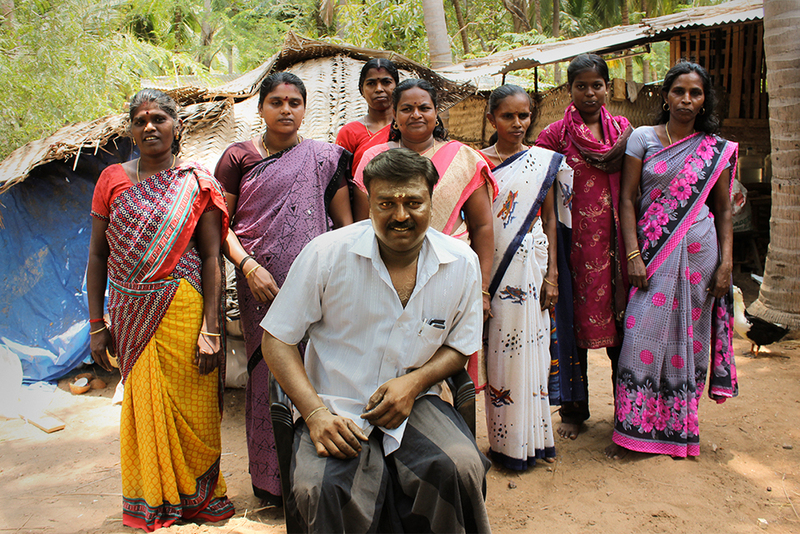 Mr. A. E. Muthu living in Kanyakumari artisan of the coconut fibernest making craft. As per the order they do the work and 23-30 products are made in one day. 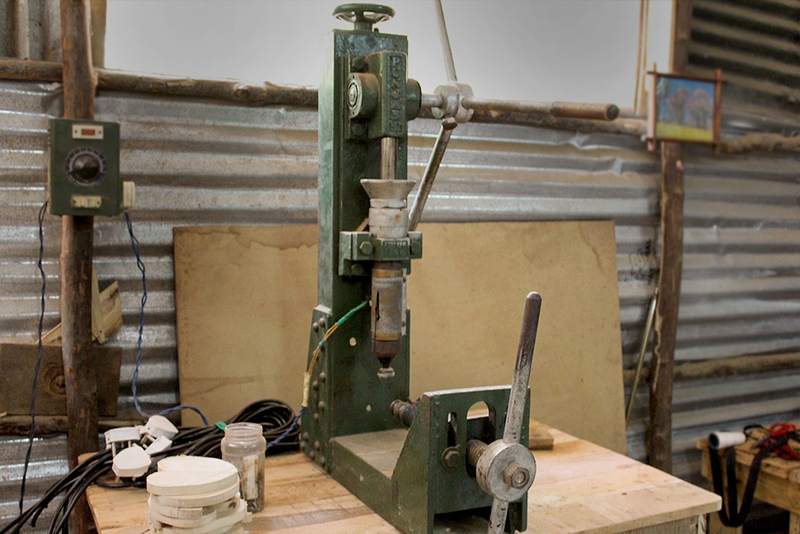 Mr. A. E. Muthu also involved in making many other crafts including coconut fibernest making. 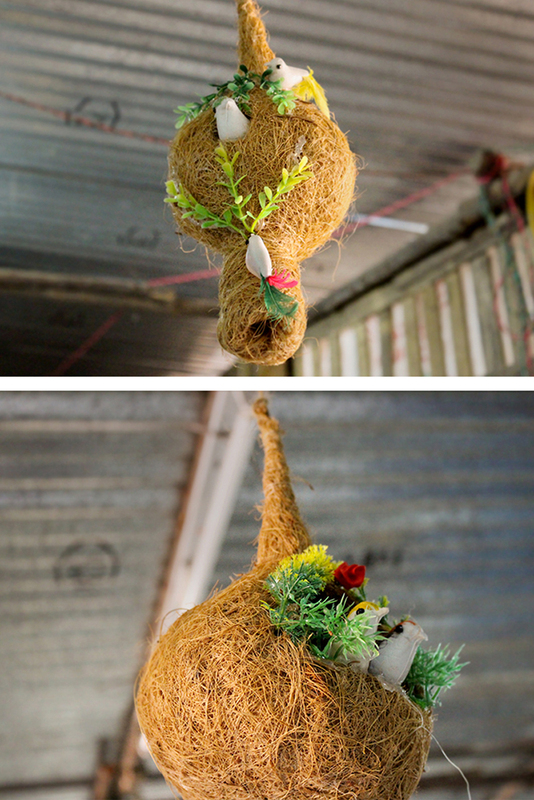 The manmade nest is used for home decoration.